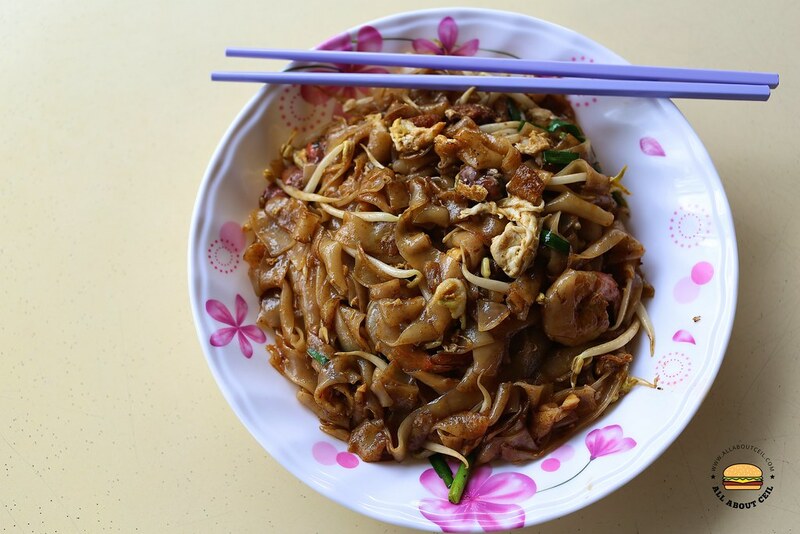 It is getting difficult to find a good Penang Fried Kway Teow in Singapore, it is even more so if you have visited Penang and eaten the Fried Kway Teow there. 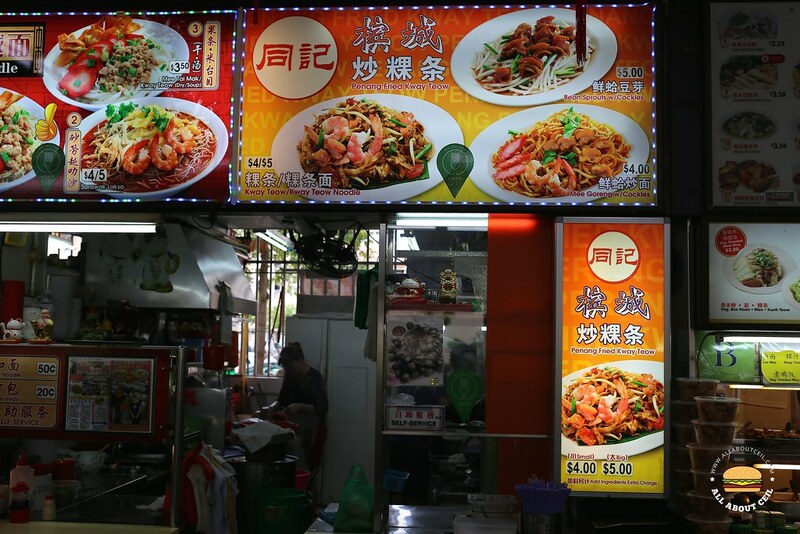 I visited Penang a few years ago and I got to try the popular Siam Road Char Kway Teow and the Famous Ah Leng Char Koay Teow, both tasted equally good. I used to be patronizing Simei Penang Laksa Speciality regularly at the food centre over at Block 347 Jurong East Avenue 1 for their Penang Fried Kway Teow. This stall serves Penang Laksa too but I did not like it as much. Besides, there used to be a stall at one of the coffee shops at Holland Drive that served good Penang Fried Kway Teow and that was the closest that I have eaten in Singapore but that stall has closed down a long while ago. Since then, I have been looking for good Penang Fried Kway Teow in Singapore. A friend left a comment on my blog about this stall at Jurong West that used to be at Block 959 Jurong West Street 91 before moving to its current location. This friend mentioned that a Malaysian couple recommended the stall to him when they shared a table at Malaysia Boleh food court at Jurong Point. The wife came from Penang and she only eats from this particular stall. This friend visited him on his last day at the previous location and then again at his new location. The comment stated, "He is very meticulous in his cooking. I was able to observe his fry his CKT at the old stall as the stove was just at the front. Instead of just cracking the egg and mix it with the other ingredients. He would drizzle some soy sauce on its first. But his chili was nicer when I tried at the new location." I was there for lunch at about 12 pm. I pointed to the signboard and said, "Penang Fried Kway Teow, please. The $5 portion." The smaller portion is at $4. And, I said, "A friend recommended your stall." I asked, "I heard that you are from Penang?" He nodded his head. He said, "Some people thought I am a Japanese." He pointed to the towel that he tied around his head. He said, "That is for absorbing sweat." While waiting, there were other customers came by to order the Fried Kway Teow. There is also the local style Fried Kway Teow ($4/$5), Mee Goreng with Cockles ($4.00) and Bean Sprouts with Cockles ($5.00) on the menu. There is actually a difference between the Penang Fried Kway Teow and a local one. The taste is different, the Penang style is more savory and spicier, the local version is sweeter as no dark sweet sauce is used in Penang Fried Kway Teow so it tends to be lighter in color. His version reminded me of those that are easily found in the streets of Penang. I shared it with a friend and he commented, "That portion is big for $5." The flat rice noodles were nicely stir-fried with ingredients like prawns, cockles, Chinese lap cheong, eggs, bean sprouts and chives in a mixture of soy sauce. The color was slightly darker but it was flavorful. So how? Pass or fail?